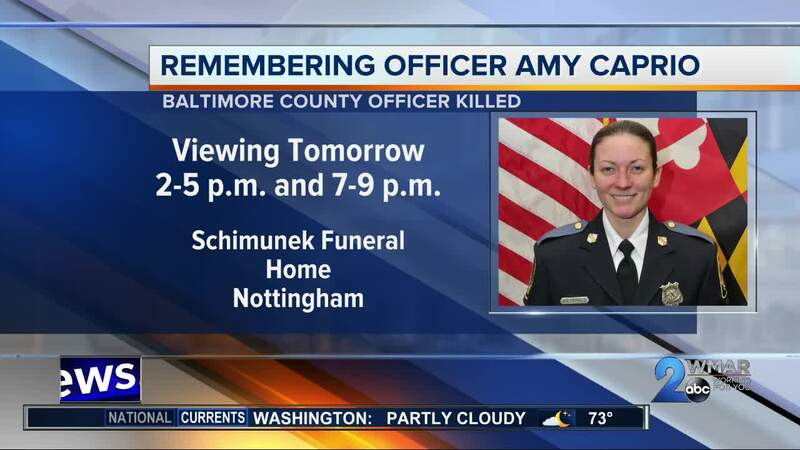 Thursday family, friends and the community will honor Baltimore County Police Officer Amy Caprio. 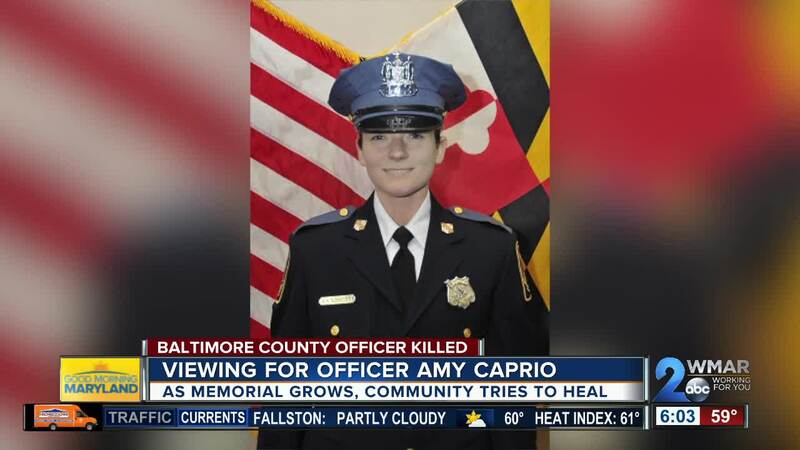 She died in the line of duty Monday. As thousands of people are expected to gather for her viewing, you can expect to travel around the Belair Road area to be congested. The memorial outside of the 8th precinct of The Baltimore County Police Department continues to grow as people drop off flowers, balloons, and notes. Many of them will attend Thursday's public viewings and because of that, Belair Road will be closed between Chapel Road and Honeygo Boulevard from noon to 10 P.M. Detours will be in place over Chapel Road, Joppa Road, and Honeygo Boulevard. Caprio was hit and killed in a Perry Hall neighborhood Monday afternoon. Four Baltimore teens have been charged with her murder. People of all ages are still shocked by the loss of a four-year veteran just days from turning 30. Caprio was an avid pet lover. She leaves behind her husband Tim, her parents and two sisters. Her superiors say she had a bright future in the department. Strangers came to pray, reflect and cry over a life lost needlessly. "The world is crazy now. You're not safe anywhere. Even the officers, they're supposed to be able to protect us, even they're not safe," said Shelli Reesey. There are two public viewings for Caprio Friday. One from 2:00-5:00 P.M. and another 7:00-9:00 P.M.
She'll be laid to rest Friday.